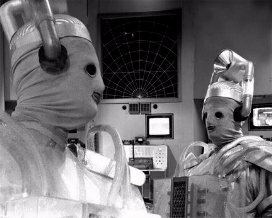 BBC Video's November 'anniversary' release for the year 2000 is a specially packaged boxset commemorating the Doctor's second most-popular adversary, the Cybermen. The boxset will contain two tapes - their first appearance in William Hartnell's incomplete swansong, 'The Tenth Planet', and Colin Baker's meeting with them in 'Attack of the Cybermen'. Note: An incorrect version of 'The Tenth Planet' has been released into the Australia / New Zealand market! This is not our remastered version and more importantly it is missing the reconstructed episode four completely! We believe that Village Roadshow are recalling these tapes and will be reissuing corrected version. 'Attack of the Cybermen' still exists on its original 1" transmission tapes, so no major work was needed to package the episodes into a new duplication master. However, as an added bonus, the story is prefaced with a segment from the Saturday morning kids TV show, 'Saturday Superstore', featuring Colin Baker and Nichola Bryant talking about the show and taking calls from viewers. 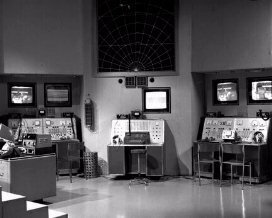 'The Tenth Planet' was a rather more difficult undertaking. Only the first three of the four original episodes of the story still exist, the missing last episode being one of the BBC's top ten most wanted television programmes. Our original proposal was that we would recreate episode four using off-screen telesnap stills and off-air audio recordings, as a ten-minute cut-down version, similar to the way we dealt with episodes two and three of 'The Ice Warriors'. We also proposed that the entire audio recording of episodes four be included on a bonus CD. BBC Video decided that the CD was not necessary and requested that we proceed with the cutdown version only. The first three episodes existed as 16mm monochrome film recordings, so these would need transferring to videotape. Our film and videotape database indicated that there were two negatives and one print held as 'A' cans (ie archived prints), with further prints being held as 'PL' (Permanent Library) cans, which have no access restrictions on them. However, once we asked the film examiners at the BBC's Windmill Road archive to check and prepare the 'A' cans for us, they discovered that the negatives held under 'A' status were actually just dupes made from the unprotected 'PL'-status prints! These prints were subsequently reclassified as 'A' status and sent to us for transfer. The prints were all given two passes through an ultrasonic film cleaner to remove surface dirt, before being transferred on the Spirit telecine with DVNR-1000 to Digital Betacam videotape by telecine colourist Jonathan Wood. Although free from major physical damage such as scratches and splices, the films were very grainy, with fairly poor optical soundtracks. The graininess of the film made the task of automatically removing dirt and sparkle with the DVNR-1000 very difficult without introducing noise-reduction artefacts, so an extensive manual deblobbing process was expected. Over the course of two days, Jonathan manually repaired nearly a thousand blobs, hairs, VT dropouts and other problems from the three episodes. In fact, there were so many problems that time and budget considerations meant that only the worst examples were dealt with, leaving some minor problems still there. The opening shot of episode one, featuring stock footage of a missile launch, is very poor quality indeed. The stock-shot is a very 'dupey' downprint from a 35mm original and is very dirty and scratched. It was hoped that we could replace it with a better copy of the same shot from the library. A missile enthusiast recognised it as a 'Blue Streak' missile being test launched from Woomera in the mid-sixties. News archive films of the launches were ordered up, but unfortunately did not contain the matching shot. Ralph Montagu was tasked with creating the telesnap reconstruction of episode four. Following an outcry from fans regarding the non-inclusion of a full-length CD soundtrack by contributors to the Technical Forum on this site, BBC Video agreed that episode four could take the form of a full-length reconstruction. This was completed just in time for the delivery deadline. It takes a similar form to the reconstruction used for the missing episodes of 'The Ice Warriors', except that there is no narrator. 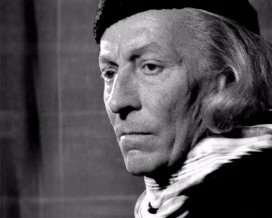 Ralph Montagu explains the methods he used to reconstruct the episode: "When I first turned my mind to doing a reconstruction of the Tenth Planet part 4, I was conscious that there would be important differences between this exercise and the Ice Warriors. With the Ice Warriors, I had all the telesnaps from episodes 2 and 3 to apply to just ten minutes of sound track. 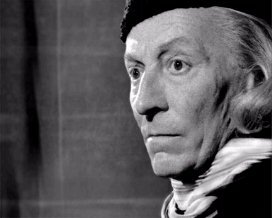 With the Tenth Planet I would only be able to draw upon 60 or so usable telesnaps for episode 4, with very few other stills existing in the BBC picture archive. Initially I intended to work to an edited sound track featuring the highlights, but had some difficulty deciding which bits to keep in and/or take out. I also needed to keep any scenes where the 8mm footage could be incorporated. So, I boldly decided to find, locate or create pictures for the whole episode. My first task was to scan the original contact sheets featuring the telesnaps. I did this using a standard glass top scanner, which is more than capable of capturing the resolution of these tiny prints. Amazingly, the line structure shows through on these pictures, which is reassuring in so much as you know that there wasn't much resolution lost in the process of taking photographs off the screen. Unfortunately, the contact sheets had been crudely stuck down to a piece of foolscap sized card, and several of the frames were smeared with the glue used any years ago. Other frames suffered from dirt and dust. I attempted to touch-out all these defects using Photoshop on my AppleMac. In doing so, I had to be careful not to obliterate the texture of the original line structure, although in some cases this was unavoidable. Once complete, I saved each picture for exporting to AVID, the non-linear system used for doing the 'rough assembly'. The next step was laying the telesnaps to the sound track which had been cleaned up by Mark Ayes working from two sources. It quickly became apparent that I would need to heavily supplement these with grabs from episodes 1 to 3, and any other picture sources I could lay my hands on. 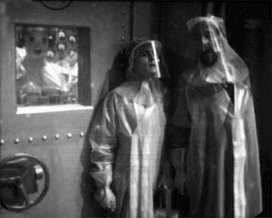 My greatest difficulties arose with the scenes set in the Radiation Room. 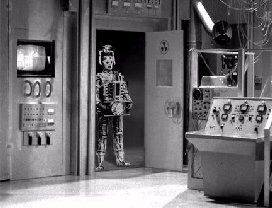 Ben and Barclay do not appear in radiation suits, or in this room, in any of the other episodes, and there are very few telesnaps of the Radiation Room scenes in episode 4. 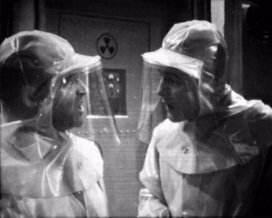 I therefore had to do a lot of Paintbox work putting their faces on the bodies of Cutler and the technicians in radiation suits. I was lucky to be able to supplement these with some pictures of the sets taken by the design department, loaned to me by Jan Vincent-Rudzki. The picture of the Radiation Room was especially useful and appears several times, albeit in different forms. In other parts of the episode, I was able to use publicity pictures which fitted the action. This was particularly the case with the scene where the doctor leaves the Cybership for the Tardis. It was clear from the script that the Doctor had donned his hat and cloak. 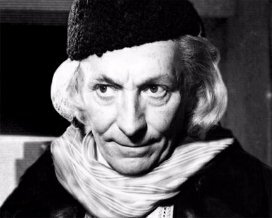 There aren't a lot of pictures featuring Hartnell wearing this combination, but the few which do exist were put to good use! There were also several good pictures of the Cybermen in the snow outside the Polar Base, but it wasn't easy to use these as there aren't any such scenes in episode 4. However, I was able to cut out individual Cybermen and apply them to indoor scenes. Where my source material was a large photographic print, I took the opportunity to put these under a rostrum camera, and record some moves and pans. It was possible to create a similar effect on the lower res telesnaps and grabs by making electronic zooms (using a Charisma Digital Video Effects generator), but this has to be done with care as too much zooming results in a pixilated image. Zooming in, or over, stills is one way in which an impression of fast action can be created; this was particularly useful where Cybermen fire their guns, or collapse under the effect of radiation. All the 8mm clips over about 1 second were incorporated. In placing them to the right bit of the sound track, it was most helpful to have Rick Brindell's reconstruction to refer to. However, getting the lips sync exactly right was a real fiddle. The original footage was evidently shot on a camera with a variable speed motor, so we had to adjust the speed of each clip separately to match the shot. As you would expect, the reconstruction starts with the reprise from episode 3 reprise and concludes with the famous clip from Blue Peter. The combination of such a diverse, and technically different, mixture of stills has demanded very careful grading to get the texture and contrast of each shot as similar as possible. But the most difficult part of the entire project was simply finding pictures which really fitted the actions. Facial expressions, cloths, background details, all had to be sufficiently consistent within a given scene to give the impression of a seamless exchange between characters! I may have had three other episodes to draw from , but finding the right shots of certain characters proved very problematic, especially as I didn't want to use any one grab more than once. There will always be scope for improvement, but in the end I had a deadline to meet. As with the Ice Warriors, the pictures do not appear full frame. A reduced size picture can help to conceal the inherently low quality and resolution of the material we are working with, and avoids any loss of image due to domestic television cut-off (remembering that the telesnaps have been subjected to this once already). The other point in favour of this treatment is that captions can run underneath the image area without interfering with the pictures. Not withstanding all this logic, some may feel that they would rather watch full frame pictures, and that the coloured backgrounds intended to emphasise each location are not necessary! When it came to it, I found that captions intended to explain missing action were only necessary in a few places. As a result, the space for captions at the base of the screen is rather under used, but it seemed pointless to add more captions for the sake of it. When the video is released, I would welcome comments on whether I did the right thing! I have retained a full frame recording of the finished story, so that a future release could be altered if necessary. Of course if the reconstruction were ever put on DVD, the captions could be turned on or off as an option. The opening and end titles were done on the 11th hour of the deadline day. The opening sequence is taken from other episodes, except the words 'EPISODE 4' which I created on my Mac. Unfortunately I used the wrong version of the writer's credit from episode 2, so Gerry Davis's name was accidently omitted. This appears to have been corrected by BBC Worldwide prior to duplication. The end titles were made up from scratch on my Mac using the Eurostyle typeface, this included the scattered type effect which was created, as it was originally, with just two alternating frames! The only difference is that the original has a transition in which the centre lines of the type have vertical lines over them, as if making a mix to the caption (actually it's a cut). I had intended to do the same, but we hit a technical problem with this and we had to go with the basic two frame version. In conclusion, I have to say that whilst we would all be thrilled to see the rediscovery of the original episode 4, no one will appreciate the detail of the direction more than those of use who have done telesnap reconstructions, and tried to work it out for ourselves!"